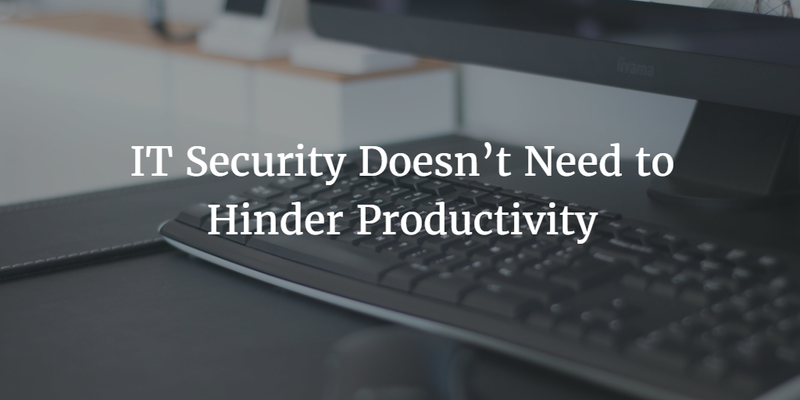 A lot of people think that to increase levels of IT security is to lower the rate of productivity. torrents of emails to remind users to lock their devices, improve passwords, avoid public hotspots, encrypt hard drives, etc. Even for technical personnel, the list of security processes can be exhausting, but it is impossible to ignore the fact that these processes lead to stronger IT security. The modern workplace is fast-paced, with employees taking advantage of whatever tools they need to be more efficient. Being more knowledgeable to security standards, employees have become somewhat less tolerant of IT. All of this has given birth to widespread shadow IT. Employees are now turning to thousands of services to get their jobs done, including Heroku and AWS. The security risk lies in the fact that these employees have no qualms about placing company assets into these services, without informing IT. Overall, this disregard of security protocol in order to leverage shortcuts puts digital assets at increased risk of compromise. Employees are motivated to search for more efficient systems due to the immense pressure they feel to complete their tasks. This pressure is not going to be alleviated any time soon, therefore the solution falls upon the shoulders of IT admins. IT needs to begin to approach security in a fresh manner, one that does not hinder productivity for an organization’s employees. The goal is to incorporate security not as an extra step, but as a part of the natural flow of an employee’s work. The days where security protocol added extra steps for users needs to be left in the past. 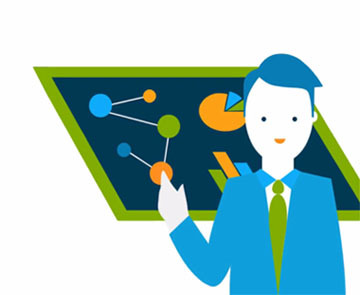 The modern employee needs to be able to work from anywhere, leveraging all devices and apps. When IT can find its place within the natural flow of employees work, security is ultimately increased and productivity is not hindered. In order to maintain efficiency in the workplace, IT security has already begun to evolve with new practices. This can be seen specifically within the field of identity management, where IT organizations are centralizing core user identities. This move helps IT increase control of user access, while also aiding user efficiency by gifting them a single set of secure credentials to remember. Within the Identity-as-a-Service field, Single Sign-On and Directory-as-a-Service are greatly altering the game. 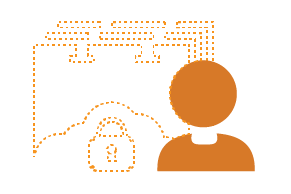 Secured access to all devices, apps, and networks contained by the cloud can be accomplished by using a single set of user credentials. This benefits the end user, as they only have to remember one username and password when accessing all the resources they need. With no biases toward device types, no VPNs to login to, and access to all cloud apps, users have a centralized method to reach everything they need. As for IT, they have a way to easily secure all of these resources. If you would like to learn more about how JumpCloud’s Directory-as-a-Service® can assist in bolstering security while maintaining productivity drop us a line. To give our platform a try, sign up for our free trial today – the first ten users are free forever!